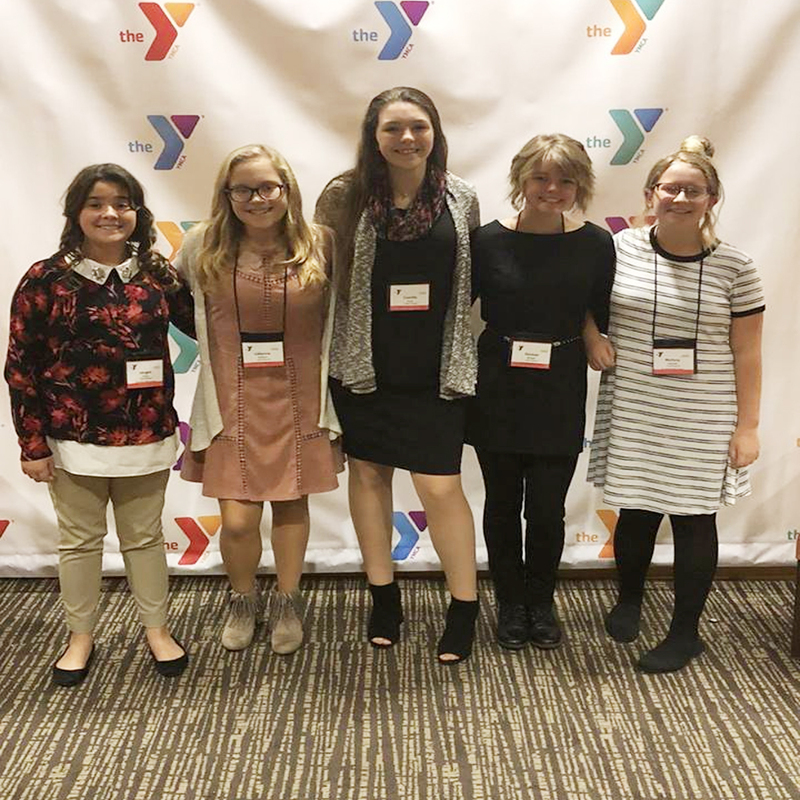 Last week, the Circleville City School Foundation sponsored five Circleville Middle School students to attend the annual YMCA Middle School State Assembly, a three-day event where students take over the statehouse and run a mock government of Ohio. Middle school students Raegan Evans, Lillianna Stafford, Camille Hoop, Kirsten Metzger, and Mallory Holcomb took on the same responsibilities as those who currently work in state government through hands-on legislative experiences. Students were chaperoned by CMS teachers Mrs. Lisa Powers and Mr. Nathan Elswick. According to Ohioymcag.org, "the Ohio YMCA's Youth & Government Program enhances the development of the American democratic process for young people through participatory training in the theory and practice of the Ohio state government. Teens in the program learn about the legislative process, how to write and research bills, and how to participate in elections. Their work culminates in teens serving as delegates at their state conference, debating bills on the floor of the legislature. Some teens have actually made bills into laws." On the first day of the Youth and Government Summit, students received information on chamber best-practice and etiquette such as "how to address the chair" and standing to speak. 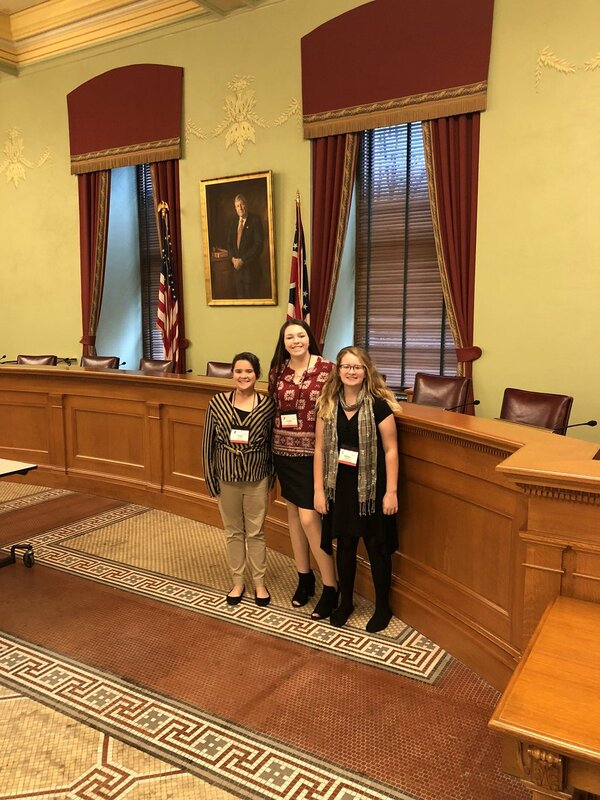 On day two, students took a vote in the judicial chamber after debating bills and Senator Metzger from the Circleville delegation served as the Committee Chair of Scarlet Senate 3. Many thanks to the Circleville City School Foundation, Mrs. Powers, and Mr. Elswick for their work in drafting and fulfilling this grant request for our students to attend and gain invaluable experiences as a result.